It has nicely warmed up here in Perth, Australia. Spring is here baby! Loving it. Gorgeous sunshine, lots of flowers bloomed everywhere, plenty of new growth in vegetation, able to get out without a jacket Yay! On the downside, the air is filled with pollen and my nose does not like it especially in the mornings. Hay fever time for me! Anyway, I have been a bit mojo less for sometime. I still craft but not with that creative juices flowing. I am keeping at it and hoping mojo returns. 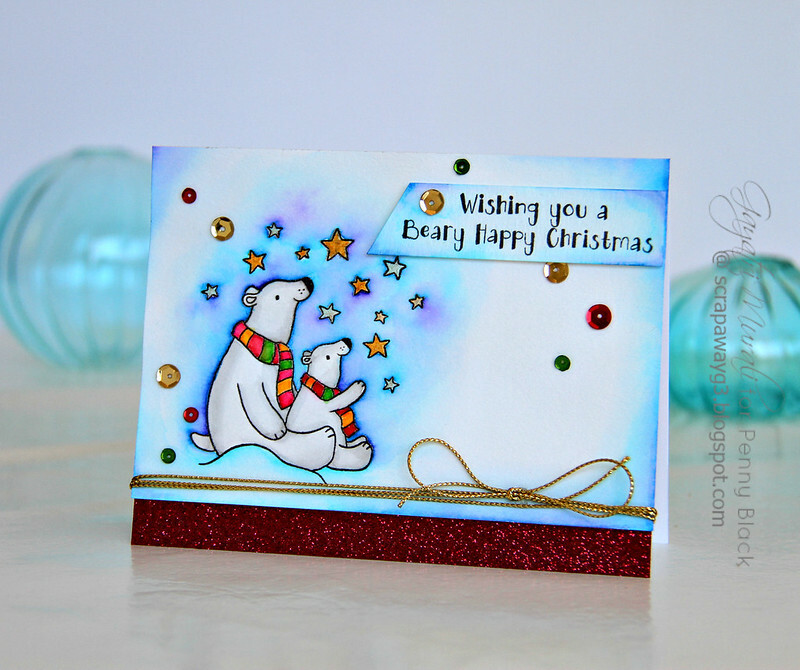 I have another Christmas card sharing today using Penny Black’s Christmas release stamp set called Artic Antics stamp set. Here is the finished card. I love bears in general but have special softie towards polar bears. I think because they are endangered at the moment with all the sea level rising. I am an animal lover especially the endangered ones. 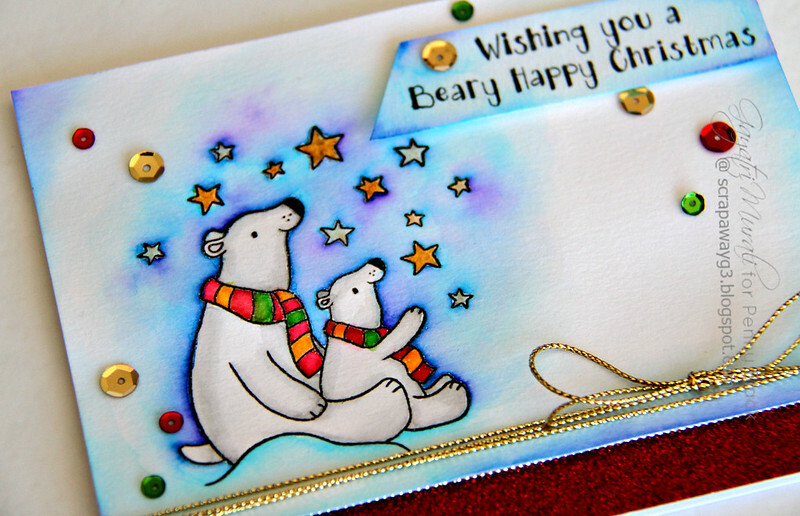 I am so thrilled that bears are hot at the moment in the stamping world. I see them everywhere. Don’t you? Here is the Artic Antics stamp set. So adorable bear images. I love the mamma and baby bear ones a lot because they are cute together. So much you can do with these images – watercolour, copic colour, no line copic colouring, masking and stamping…………. Versatile set as well. Hope you like it! There are plenty of aweosme new Christmas stamp set and die released by Penny Black. You can purchase them at Penny Black store or at Simon Says Stamp store. I love the masking. These bears are adorable! Beautiful beautiful card! Very cute bears!